I am a Design and Product management student and writing my masters thesis about solving the problem of food waste with a worm composter. I stumbled during my research over you page and thought maybe it might be helpfull for you to use explaning illustrations. Thats why I send you pictuers I made. 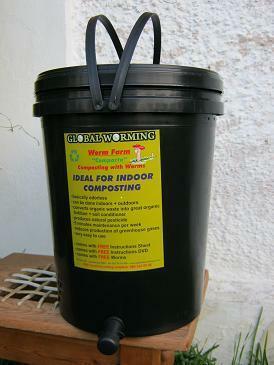 Furthermore it would be great if you would be interested in designing an indoor worm composter. One which is easy to handle, so more people are willing to start composting, also people with no garden. thank you for your message. I want to congratulate you on choosing worm composting and the reduction / recycling of food waste as your subject for your masters thesis. I believe it is an excellent choice and you will be able to make a big impact for the environment and future generations. I've been a commercial worm farmer for more than 15 years now and know that worms can play a vital role in the waste management industry of today and the future. I actually designed a wide variety of worm farms over the years and one or my worm farms is an indoor worm farm and has been tried and tested for many years now. I am not sure which of your illustrations you would like me to use for our pages and how I am supposed to use them? I will definitely stand alongside you in promoting worm composting as a way of recycling kitchen- and garden waste in Europe and the rest of the world. PS: Wir können auch auf Deutsch kommunizieren.